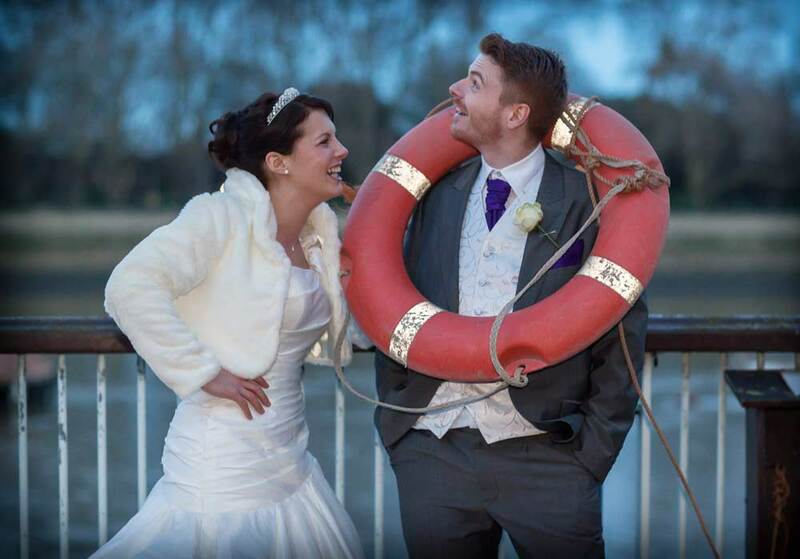 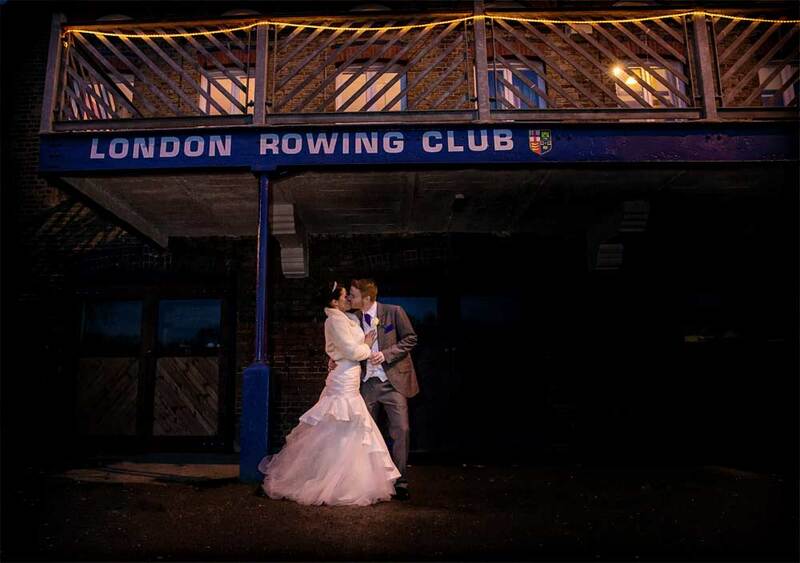 Claire and Rich chose a characterful and quirky venue for their special day, which as the blog post titles suggests was a London Rowing Club wedding. 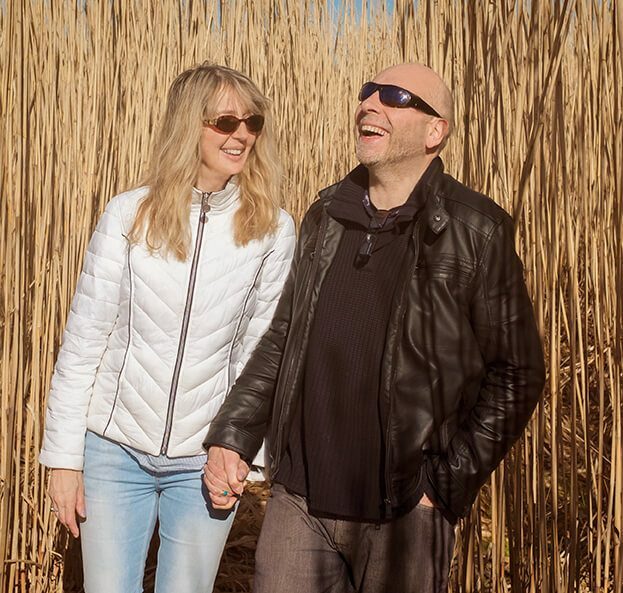 From our first meeting we knew what a relaxed and fun loving couple they were, but even if we had only just met on the day, it would have taken us about three seconds to come to the same conclusion. 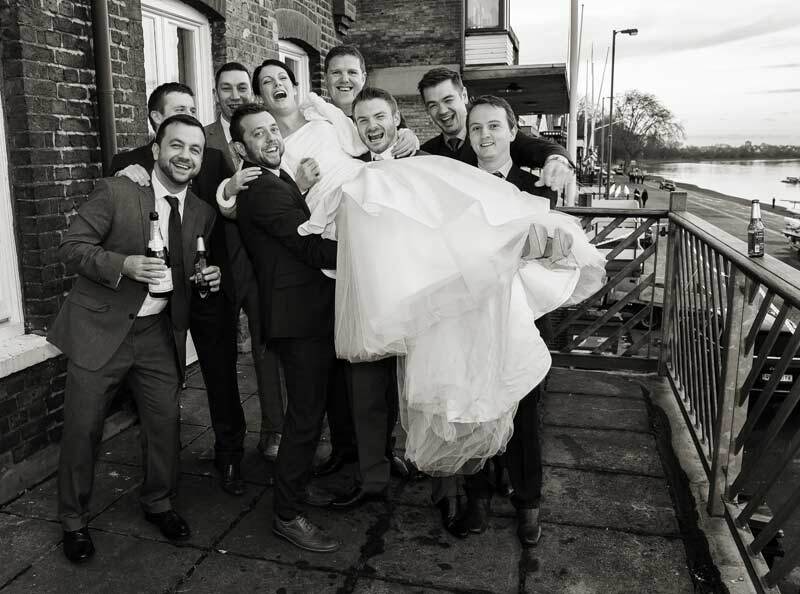 From Rich joking with friends and family in a local pub before the ceremony, to the huge winning smile on Claire’s face as she arrived in a London wedding taxi, their personalities were immediately on show. 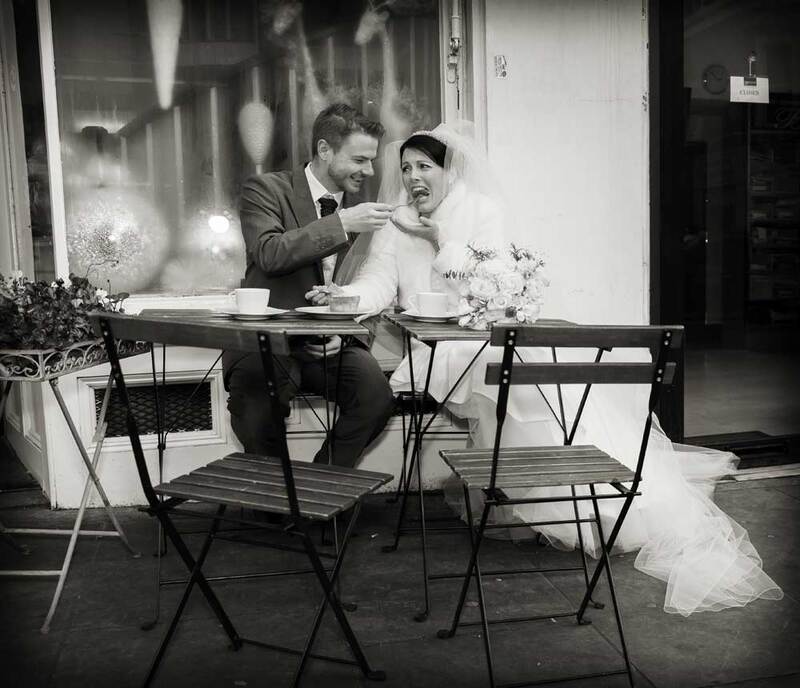 This of course is a dream for a photographer, but it’s also something we work hard at achieving by being people orientated and fun loving ourselves. 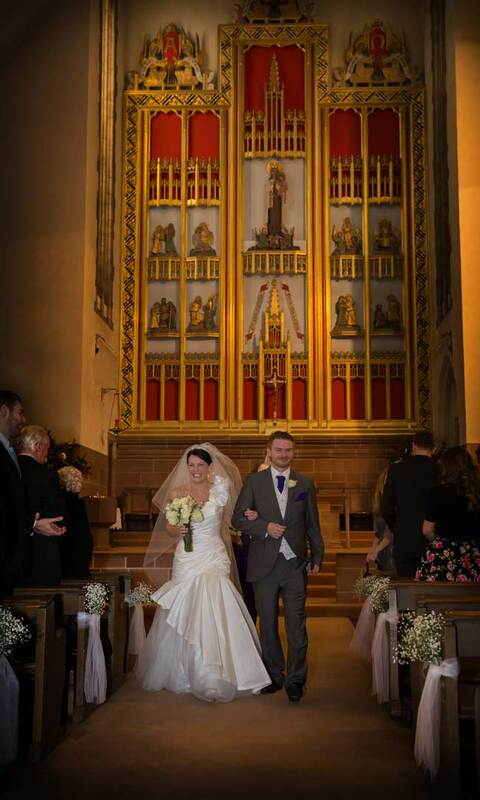 Although proceedings could be mistaken for starting in the public house across the road, this winter wedding proper was held at Our Lady of Mount Carmel on Kensington Church Street. 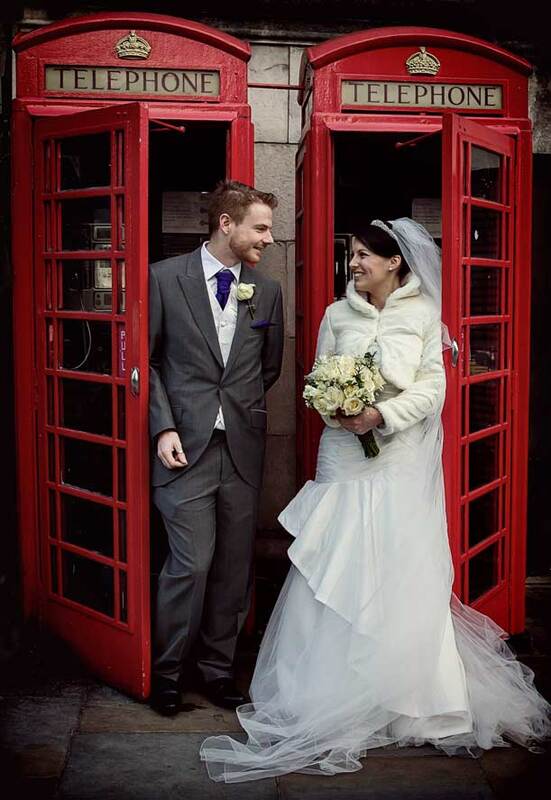 After confetti throwing outside Claire and Rich took the long journey straight across the road to phone boxes and a spot of impromptu cake eating at a local cappuccino house. 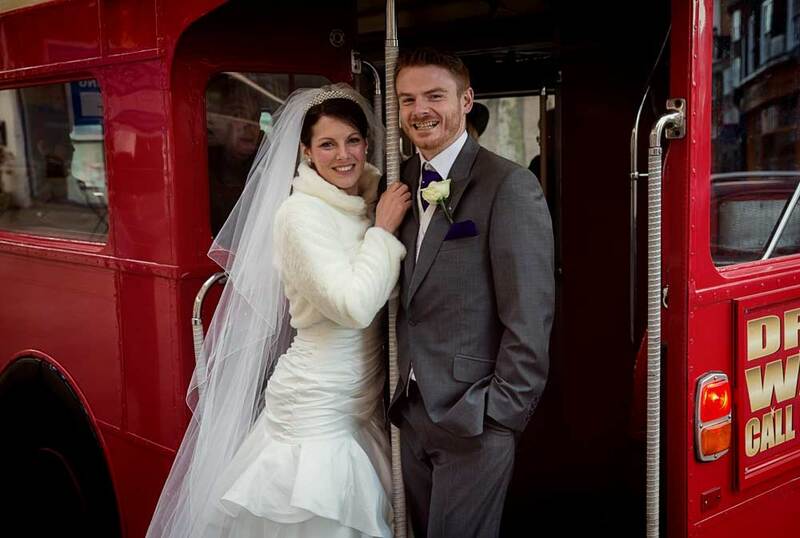 Time then for the newlyweds and their wedding party to board the London routemaster bus to London Rowing Club on Embankment Putney. 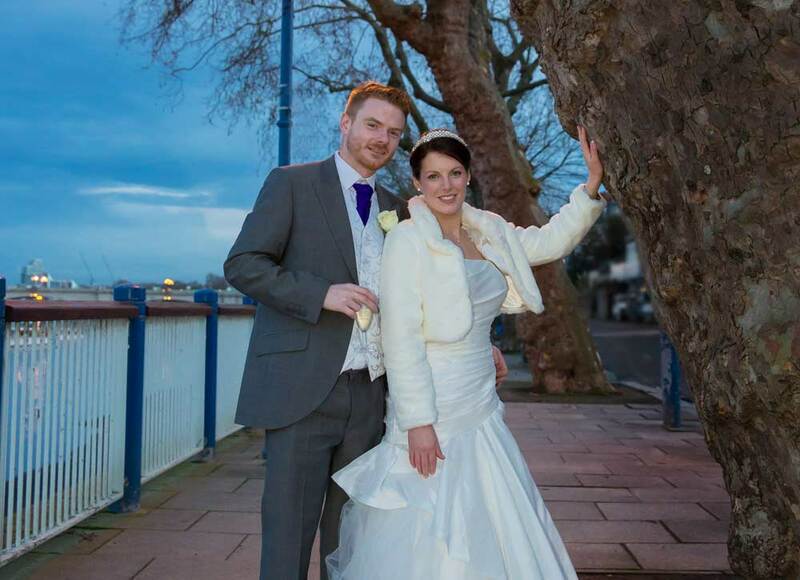 We found it a very refreshing choice of venue, and wouldn’t hesitate to recommend it to couples wanting to incorporate something of the essence of London and the Thames into their wedding day.